Digital Video Is the Future of Advertising. Here's How. Traditional network/cable/satellite TV viewing numbers are on the decline, with more consumers (especially younger ones) preferring to stream content on their devices and smart TVs. In a recent Nielsen survey, during this past October, the number of younger viewers age 18 to 34 watching traditional TV was down 16 percent from the same period a year ago, and 36 percent from 4 years ago. Digital research firm eMarketer predicted that by the end of this year some 33 million people will cut the cord and stop their traditional cable or satellite subscription services, a 32 percent increase from the previous year. If fewer people are watching traditional TV, how can marketers use the medium to reach viewers? TV hasn't gone away from most American homes, it's just that the content being watched is coming from internet connections. That's why it's important for marketers to understand the switch in viewing preferences. In the digital video/digital advertising industry, we feel this situation creates opportunities for smart marketers. Digital video advertising offers interactive, visual opportunities to connect with consumers and inspire new relationships with brands. Here are some of the reasons why video will continue to have a significant impact on digital advertising in 2019. Nearly all millennials are consuming video content on a daily basis with their mobile devices. As a result, it's likely they are seeing digital video ads on Instagram, Snapchat, YouTube, and other video-centric channels. Interactive digital video advertising will dominate the US advertising landscape in 2019. Another recent eMarketer report shows US digital video ad spending will show continued growth from a mix of mobile and social media video ads, and will eventually take up half of top marketers' budgets in the coming year. Younger viewers (and some older ones, too) are no longer watching what's on TV. Instead, they are using their smart TVs (with YouTube, Roku, Apple TV, and Chromecast leading the way) to deliver content the way they want it, when they want it. TV is becoming a personalized, customized viewing experience. That opens the door to personal engagement with advertising. Thanks to being able to pick and choose what consumers want to watch, the experience of massive (or binge) video watching (such as an entire season or two of a favorite program in one evening) becomes more memorable and shareable as well. How does this new viewer reality square with marketers still spending more of their money on "prime time" advertising? Does the concept of "prime time" still warrant the higher values? With a plethora of streaming outlets available, more younger viewers are clearly not pressured to watch TV at any particular hour. Because of the new types of viewing, video ads have been taking on new forms. There are native outstream video ads used in social and online media feeds, live videos from social media channels, and an emerging class of online TV shows being sponsored by major online marketers. With these changes in the way people (and particularly younger people) watch their programs, brands now have fantastic possibilities for standing out by using creative combinations of personalization, user experience interaction, and hot spots/outstream/native video formats. Is Connected TV All It's Cracked Up to Be? Yes! In recent years, mobile phone screens and desktop monitors have taken advertisers' attention away from running campaigns on the family TV. With more people cutting the cable cord and relying on internet streaming for programming choices, connected TV in the family room is moving ahead. Connected TV is popular with cord cutters, or those who have ceased paying for TV services in the home. According to eMarketer estimates, about 33 million have stopped their subscriptions to a paid TV service. Another recent report, the "Q1 2018 Nielsen Total Audience Report," found that the average U.S. adult now spends more than 11 hours each day listening to, watching, reading, or interacting with some form of linear or digital media. Connected TV is a key reason for the uptick in media consumption. While there might be some growing pains in the category, connected TV is showing it's living up to its initial hype. In the past year, connected TV has doubled its advertising growth, overtaking the number of impressions over mobile devices. The "Q2 2018 Video Advertising Benchmarks Report" from Extreme Reach found connected TV had 38 percent of video ad impressions in 2018's second quarter. Those video ad impressions are mostly from consumers' preference for platforms such as Hulu, Netflix, Roku, Apple TV, Google's Chromecast, and others during the U.S. prime time of 8 p.m. to 11 p.m. The anticipated growth of connected TV means a comparable increase in video advertising. But it will be online, through connected TV. Analyst firm Forrester notes that all the big players, including Facebook, Apple, Amazon, Netflix, and Google, are looking to a future in which consumers watch video online rather than on traditional linear TV channels. It will likely lead to a more fragmented video world. There will be more on-demand video content consumed, and more opportunities for advertisers to reach these fragmented audiences at different price and reach windows. 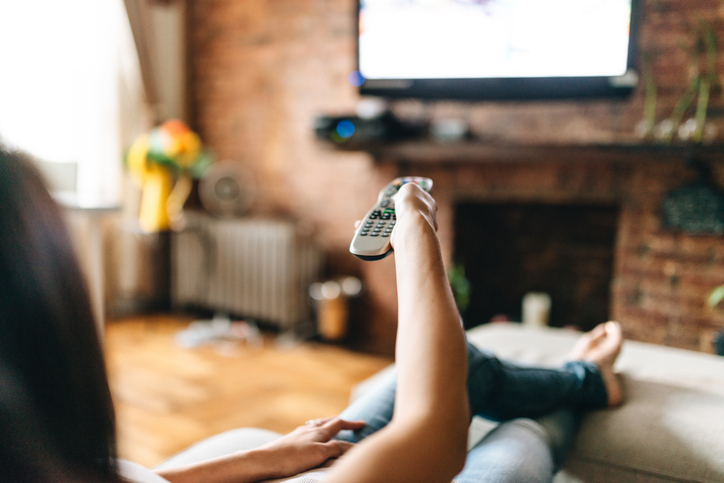 It's easy to get ads seen by a target audience faster: Connected TV gives marketers and advertisers a more accurate route to reaching relevant viewers. Instead of aiming for large, general audiences, marketers can narrow their ad campaigns for a more relevant reach. There are opportunities for specific targeting: Connected TV advertisers are getting more sophisticated about targeting methods, including first-party, third-party lookalike modeling, CTV retargeting, and cross-device targeting. This area is expected to grow in importance in the coming months. Ads are shown fewer times on CTV: Instead of a barrage of ads coming in between programming segments on traditional TV, ads on connected TV are fewer in frequency. This results in higher view-completion rates because consumers aren't overwhelmed by ads. Connected TV consumers are in a more receptive, relaxed state of mind: Connected TV viewers see ads when they are ready for entertainment. Advertisers believe this increases the chances a brand's ad to make a good impression on viewers, compared to other platforms when this may not happen. Ads can become shoppable: Making connected TV ads more interactive and useful to consumers is a priority for online advertisers, as it's easier to build interactivity into ads over connected TVs. Netflix, YouTube, and Hulu are all showing increased usage over connected TV. As advertisers catch up to meet these receptive audiences, the connected TV category looks to grow incrementally in the coming years. Remember when content was king? Well, what’s king now is streaming content. And it’s not just streamed films and television content either. There’s parallel growth in streaming live TV events and live sporting events. CBS recently launched CBS Sports HQ, a live 24-7 streaming channel for all types of sports coverage, sports news and insider analysis. CBS Sports HQ will be available for free online for web users. CBS says the channel will cover will news, sports highlights and updates for basketball, football, baseball, soccer, hockey games and more. It’s an attempt to reach the younger demographic of users who have cut their cable cord, and aren’t watching sports at home. Our Adtaxi “Super Bowl Viewership and Consumer Streaming Trends Survey” from January showed how younger consumers’ viewing habits are changing around content-streaming and media-viewing, especially around major sporting live events. And it’s not only young viewers doing the bulk of streaming. Baby Boomers aged 50-64 are also streaming more media than ever. Older Americans are watching 45% more web-connected TV than live network or cable programming, according to data from Netflix, Rotten Tomatoes and E-Poll Research. Some of these TV shows that are resonating with streaming consumers are Netflix hits like “Dear White People”, “Stranger Things” and “Sense8”, per E-Poll research on popular streaming TV shows. The second screen impact is also in full swing for streaming viewers. When streaming live sports and live TV events, users are also using a second screen to supplement the main event. Mobile devices in hand, these viewers are watching the event, but are tweeting, taking pictures and sharing reactions on Snapchat, Instagram, Facebook Live and other social media. Advertisers can reach interested consumers on streaming media in a range of geographical and demographic areas at the same time. They can do this by optimizing targeting strategies and reaching specific age groups or genders on the appropriate platforms. But the key to it all is the data gained by advertisers. With good data on streaming media, advertisers can figure out which advertising works best on the assorted devices that people use to stream content (phone, desktop, laptop, etc. ), and the specific programming apps (Hulu, Showtime, NFL, ESPN, etc.). Verance, which uses a technology called Aspect to cull data on certain ads that were shown on smart TVs in individual homes. Figuring out the data equation will be top of mind for many advertisers in 2018 to reach fragmented streaming media audiences.